Removal of unwanted body hair can be a very inconvenient and time taking process. Why inconvenient? Because tweezing is painful, razor can give you razor burns and waxing is again quite painful as and you may have to deal with skin allergies sometimes if you have a sensitive skin. Body hair removal is not only a matter of concern for women but men as well. Find effective Full Body Laser Hair Removal in Mumbai at Sakhiya Skin Clinic. Laser hair reduction is one of the most predictable processes - it turns out to be successful in a majority of the cases. However, some precautions need to be taken both prior to and post the treatment. 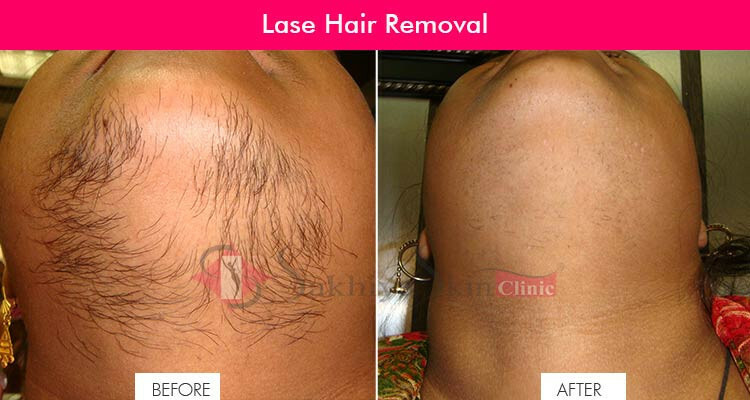 Avail Best Laser Hair Removal in Mumbai at Sakhiya Skin Clinic. It is recommended that no plucking or waxing of hair is done at least 6 weeks prior to the treatment. These procedures temporarily remove the hair follicles and hence become unaffected by laser rays for as long as a month and a half. Also, it is better to avoid facing the sun for a few weeks before and after the laser treatment. Laser removing clinic in Mumbai also suggests that you take anything between 4-6 sittings over a gap of 3-4 weeks for achieving optimum results. Also at Sakhiya, you can find affordable Full Body Laser Hair Removal Cost in Mumbai. Any permanent damage to the skin through laser treatment for hair removal is quite rare. Usually, the skin appears to be sunburned for a few days and then goes back to looking normal. Sometimes blisters may also appear, especially in case of people with dark skin. Usually, patients feel a little discomfort, rashes, redness or irritation in the treated area after the treatment. An ice pack or cooling cream or gel is usually recommended to take care of this situation.In search of quality and long-lasting treatment? Visit Sakhiya Clinic. It is known as the best Laser Hair Removal Clinic in Mumbai.